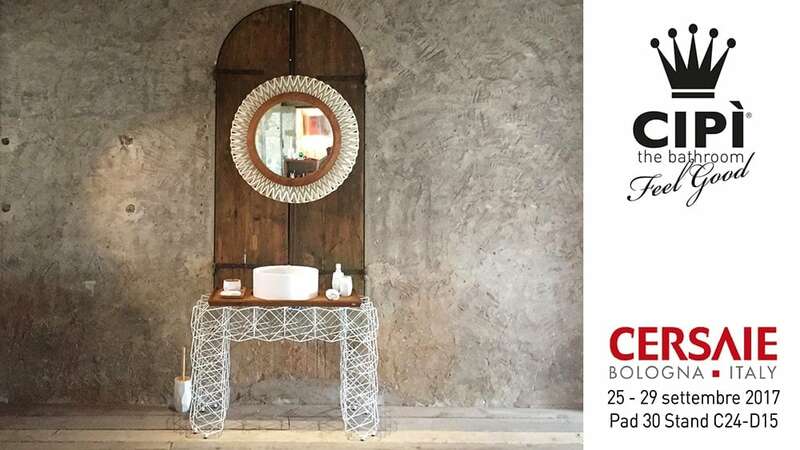 more #FeelGood in Cersaie w/Cipì bathroom!! 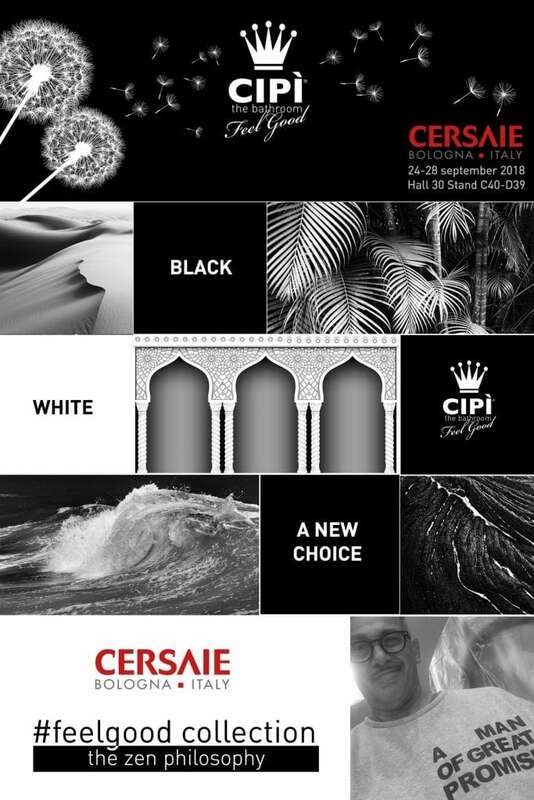 Our Stand in Cersaie – Bologna – until september 28 – Hall 30 – Stand C40-D39. 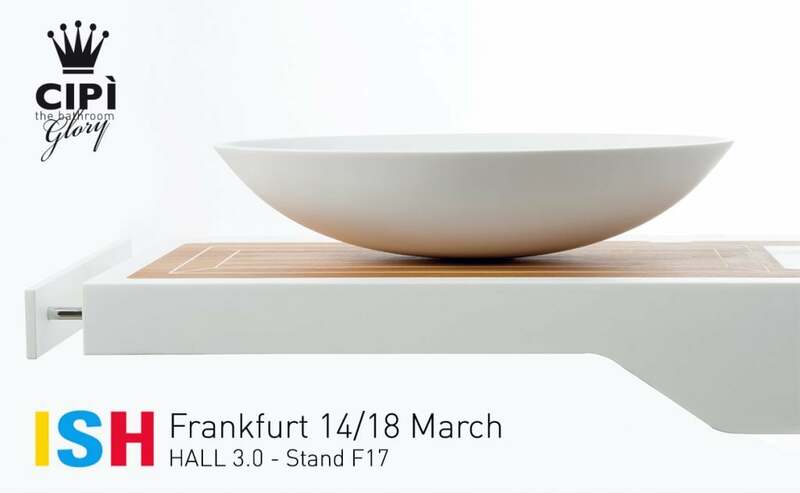 Our stand is a big moodboord. The Feel Good collection style! The new Feel Good line is “the ZEN Philsophy” … a news choice “Black or White”. 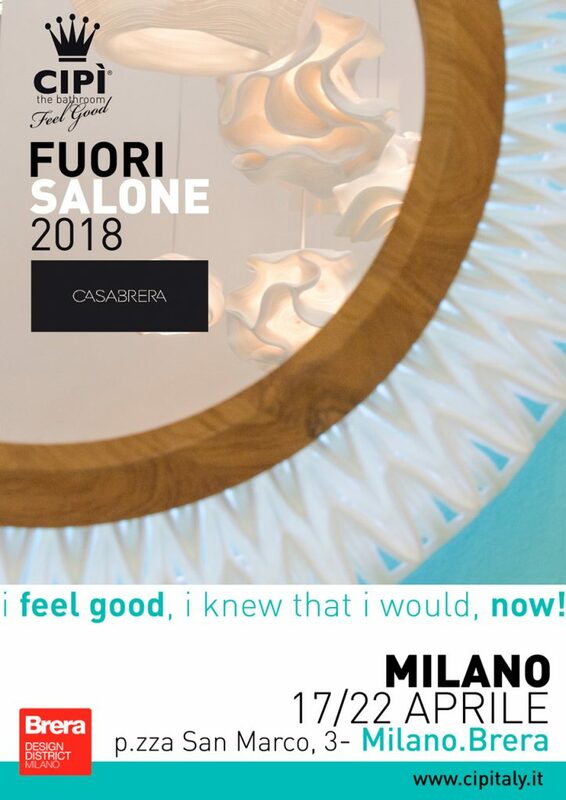 Click HERE to show our news! Unique & exclusive, a gift to make you feel special ! Sophisticated and with innovative details, precious and stylish particularss. And ….We GIVE IT TO YOU! How to receive the new Cipì bike 2018? FREE ADVERTISING on Cipì socials! 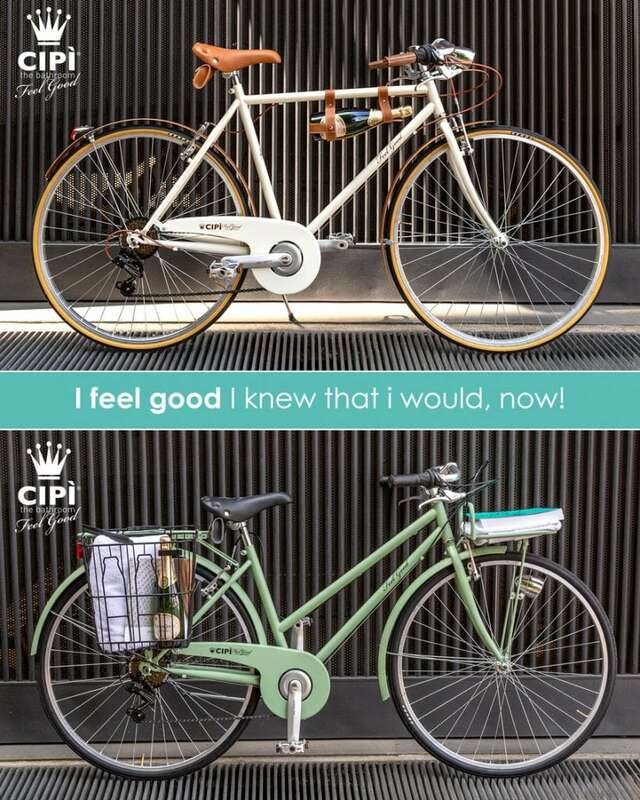 Use your bike to present Cipì product in your showroom and send us the pictures of your storefront. We will share them on our social pages (Facebook & Instagram) and we will promote your shop! Viadurini blog publishes the interview to Piero Cappelli who tells about the style and concepts defining the identity of Cipì brand. 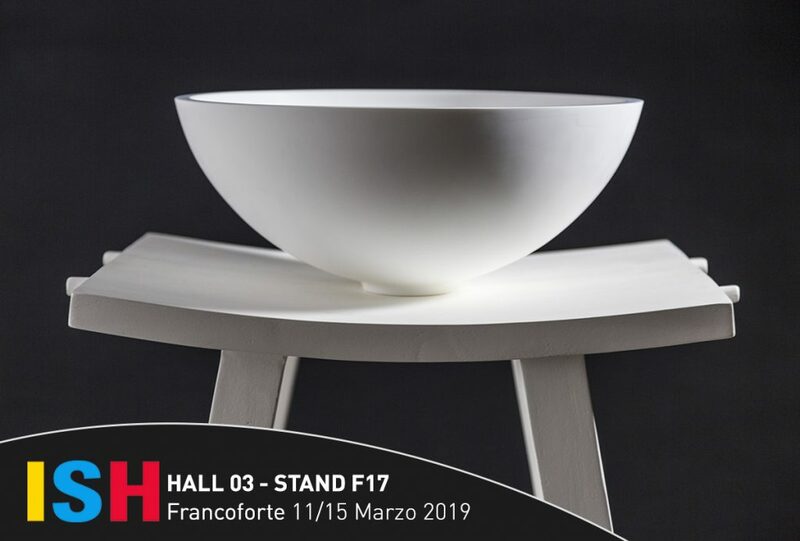 …The trip, the friendship with the suppliers from Bali to Marrakech, the desire to be light, the need to don’t compete with any competitor, the desire for luxury for everyone and for every day…. This is the mood of Feel Good collection, which has proved to be widely shared and appreciated by many clients, far beyond our expectations. ISH & Cipì …Let’s sail to the Italian Style! 15th March 2017 – h. 6.00 p.m. 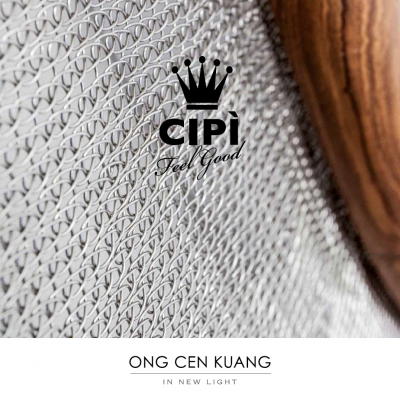 The origins of the partnership between Cipì and OCK date back to their accidental meeting at the Jakarta fashion week. Half fashion half design, OCK products made in flax, cotton or even zips remind of the sophisticated and sinuos lines of the coolest fashion collections. Cipì , in concert with Ong Budiman, the OCK founder and designer, carefully select the products, as to always amaze its customer, promoting new deisgners and materials, choosing to promote not to follow a trend, by placing on the market a line of products which meets the most elegant and innovative taste..
FeelGood – BLACK or WHITE?